Sheffield City Council is setting up its new Equality Objectives, and is looking for individuals and organisations willing to help by being consulted.The council is required to set at least one Equality Objective every four years but this time has decided to set up four, each with a set of three or more aims, in a bid to make the city equal for all. Sheffield City Council has issued a warning about reports of individuals claiming to be Council Officers and asking for cash payments. 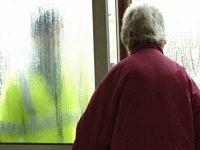 Always check the ID of anyone claiming to be a Council Officer before you let anyone in and report any concerns or suspicions you have.